Today was not a pretty day in food. 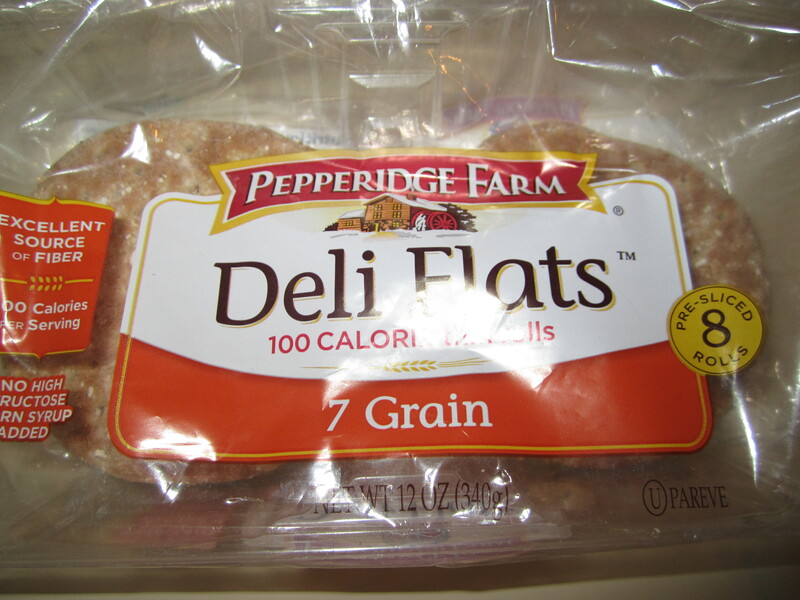 Yesterday, I bragged about how when most people go home they eat badly, but not me. Well, I take it all back! 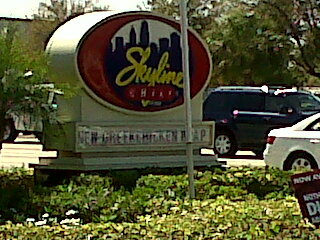 Today, I totally gave in to every temptation that beautiful Ft. Lauderdale has to offer. However, my morning started off on a great note! My mom woke me up around 8AM, and we headed to her gym for a morning spin class! I’ve actually been to this particular class once before with my mom, a few visits ago. Although the class is a little slower paced when compared to my college spin classes, it is still a great class and I definitely had a great work out! After our class, my mom and I headed to Starbucks for something to warm us up from the chilly Florida weather this morning! 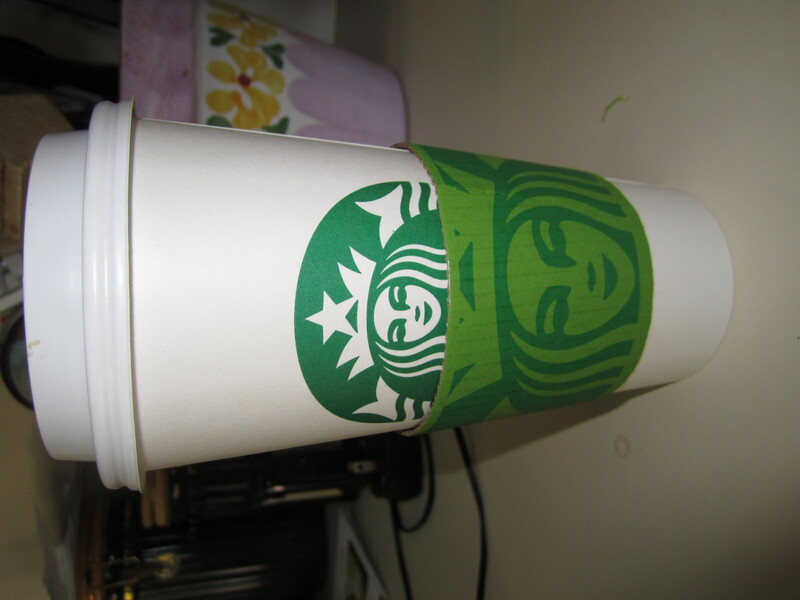 My mom asked me what she should get, so I went ahead and ordered us two Venti Sugar Free Vanilla Soy Lattes. Delicious as always! Still hate their new logo, though. 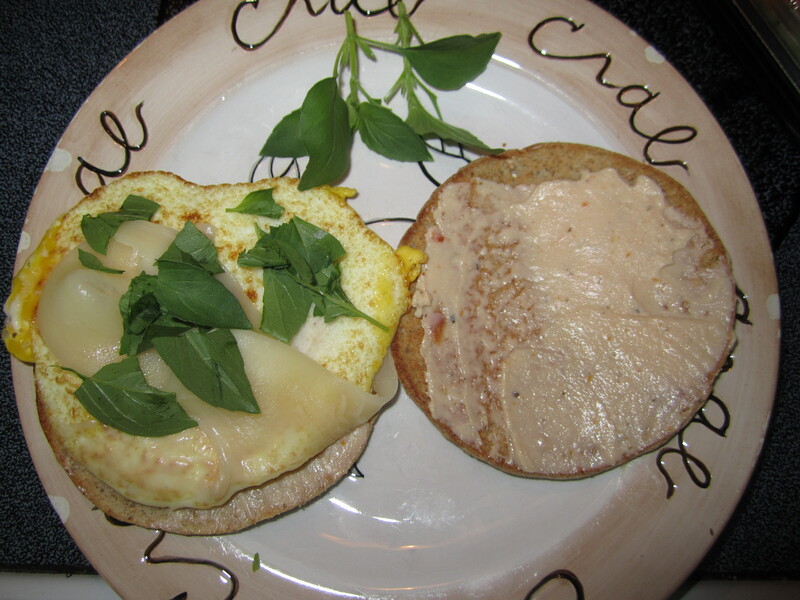 I cooked an egg in the skillet, sliced out half of the yolk, and placed it on a toasted sandwich thin spread with 1 wedge of Laughing Cow Sundried Tomato and Basil, and topped with a slice of reduced fat provolone cheese, just to make it extra cheesy. My mom saw my creation and offered me some of her fresh basil from her AeroGarden! 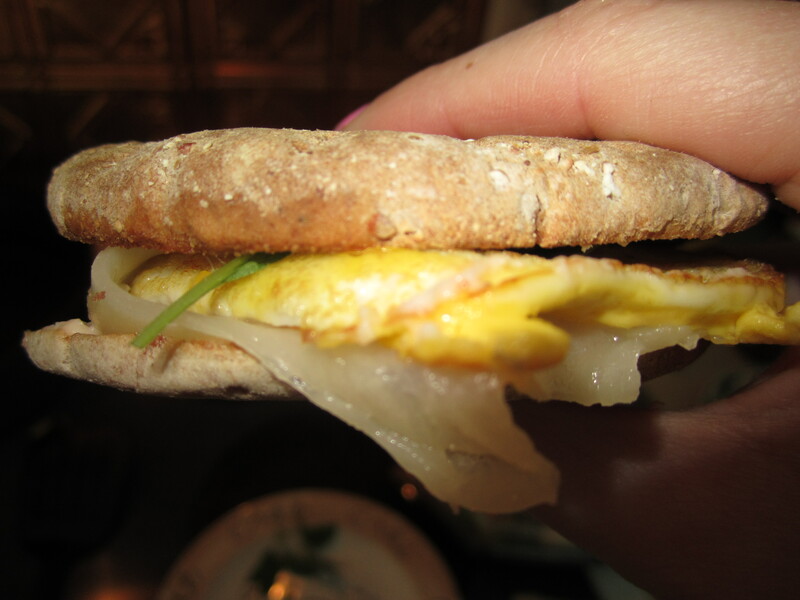 This addition took my average breakfast sandwich to the next level. This sandwich made me decide that I will definitely be re-planting my own AeroGarden that I recieved as a Christmas gift a year or two ago. The fresh herbs just bring so much to the table! After breakfast, my mom and I watched the Lifetime movie about Amanda Knox– so depressing! After my sister woke up, (she’s still feeling pretty “tired” after her Spring Break cruise…) we decided to head to the one and only place that’s an option when my sister and I come home to visit. 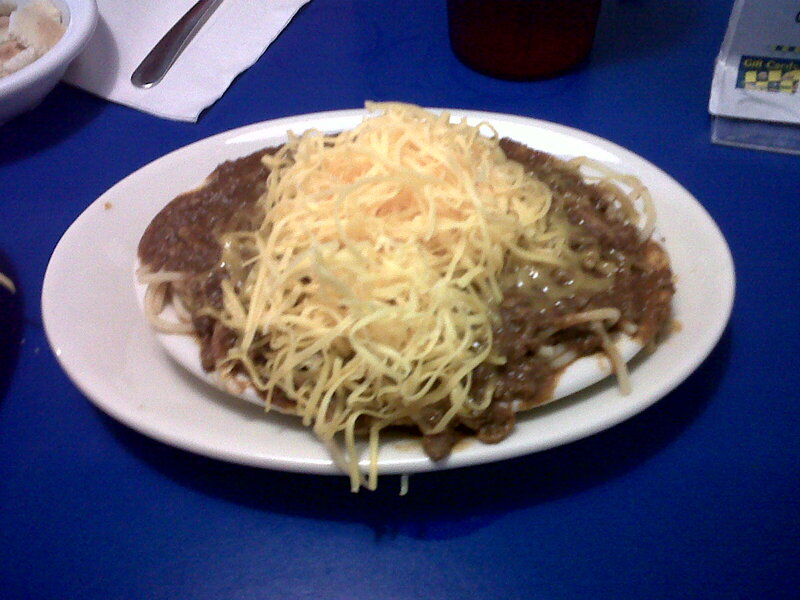 Spaghetti, topped with Skyline’s famous chili, topped with a pile of cheese. That’s it! Growing up, I always ordered the Regular 3-way whenever we made a trip to Skyline…however, today, I had an ounce of discipline, and ordered the child’s portion, which looks much bigger in the picture than it actually was- it was really about four big bites. Now do you see why I had a weight problem growing up?! This is and always will be my favorite thing in the world, but I have to admit, I felt pretty sluggish and gross for the rest of the day after eating it. So, she got the same exact pair! Now, we’re twinsies :). I absolutely love my Nike Free Run’s- they are the best running shoes I’ve ever owned. Light as a feather, comfortable, and accented with pink. Best Christmas present, by far! Thanks, babe <3. On our way home, we got into a discussion about how my sister’s bed has the hottest and most uncomfortable sheets on it, and she and I barely slept last night because of it. My mom said she also desperately needed new sheets on her bed. 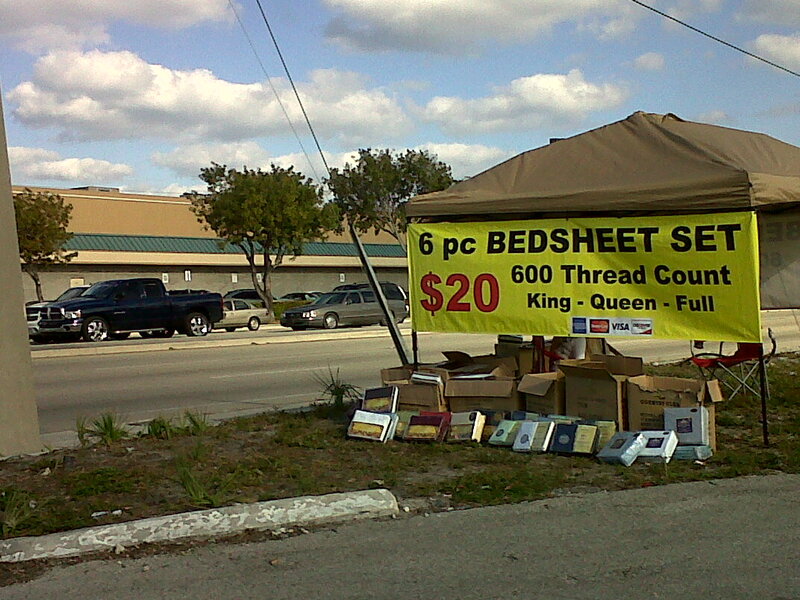 As if it was placed there on purpose, we just happened to pass one of those tents on the side of the road that claim to sell 600 thread count sheets! I’ve seen these plenty of times, but I only started to believe that they were actually nice sheets after our friend, Buxton, told me that he got some and loved them. For only 20 bucks, I figured, you can’t go wrong! Upon further review, my mom and I discovered that these “sheets” are basically sheer curtains that look like they were sewn together 6 hours ago by blind children in China. But, keeping true to my family’s fashion, they are washed and tucked onto our mattresses, anyways! 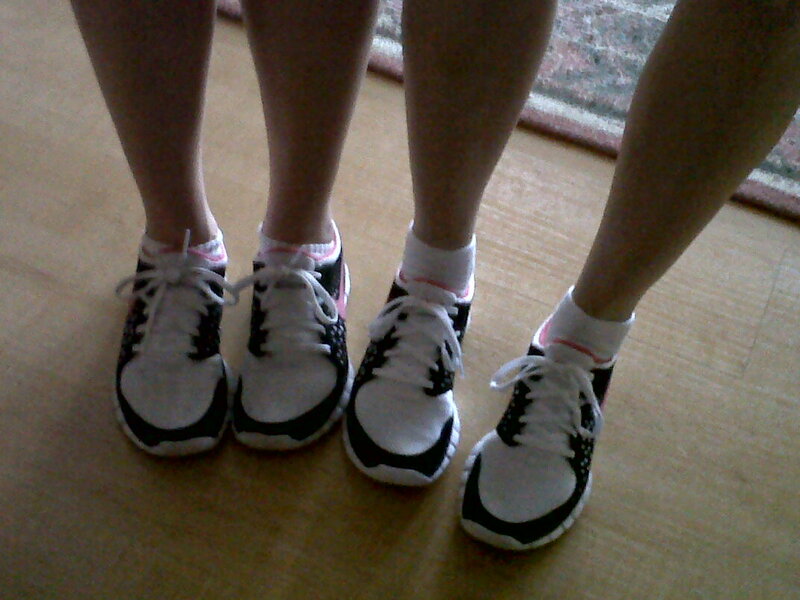 After the mall, my sister took a nap (go figure) while my mom and I went on a walk in our matching shoes. We did a 5K route that she mapped out through a bunch of the neighborhoods near our house. We love to take walks when I visit- it’s the best way to catch up! My mom has more gift certificates than any single human on this planet. You really can’t blame her, though- she’s a double teacher! She has so many students, and gift certificates are the go-to gift around the holidays. Therefore, our restaurant of choice for dinner centered around the sacred gift certificate stash. 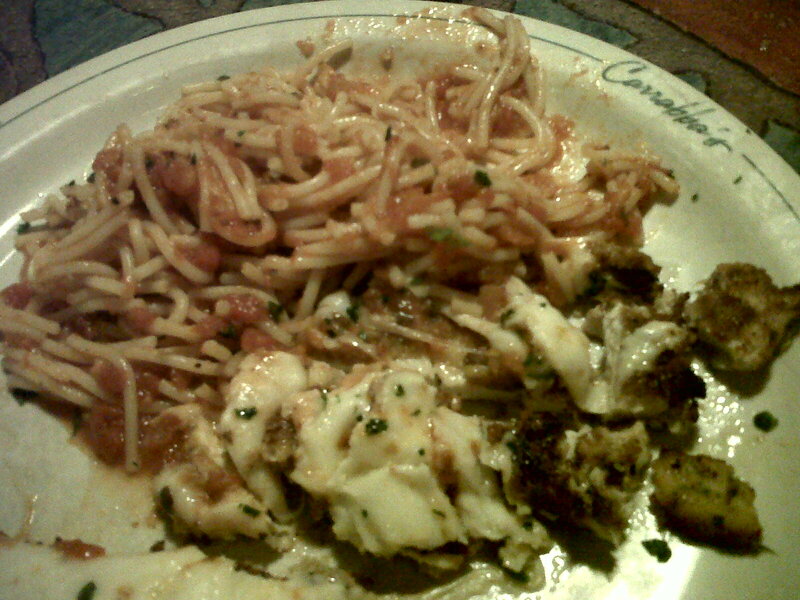 We ended up at Carrabba’s! This is where it gets ugly. We decided on an appetizer, which somehow ended up being the “spinach” dip. 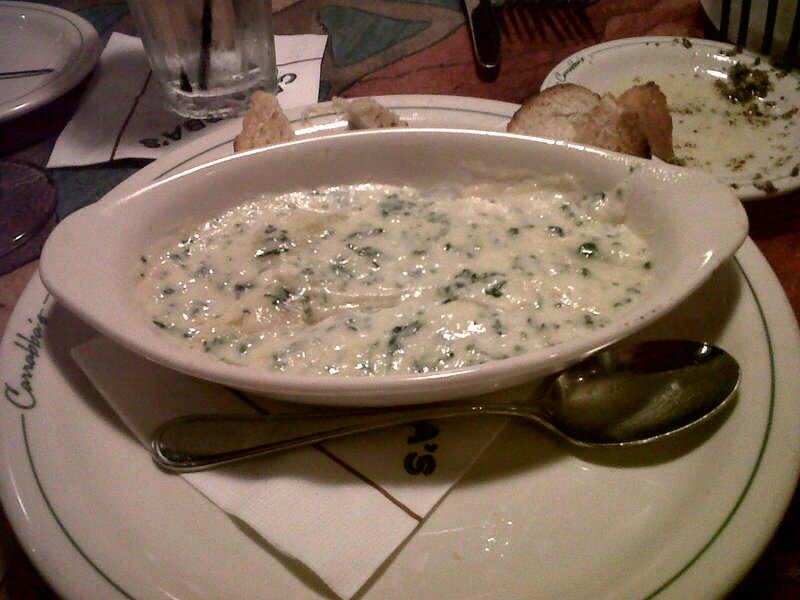 They might as well call it the “cheese fondue” dip, because there were about two specks of spinach, and the rest was greasy, yet, amazing, cheese. I tried to have some self control, but it was tough around this stuff. I ate a salad with balsamic dressing before my meal came, so by the time I finished my half of the chicken parmesan, I was pretty full. I ended up having just a small bread plate filled with my sister’s order of linguine with clams, and then we took the rest home. It’s always fun to go out to dinner with the family, but seeing that I totally pigged out, I’m very happy that my mom and I were able to get two solid calorie-burning sessions in today! What is your favorite thing to eat when you visit your family?